Prime Minister of Armenia Nikol Pashinyan has clashed with senior officials in the de facto leadership of Nagorno Karabakh, an unusual breach between the two closely tied entities. 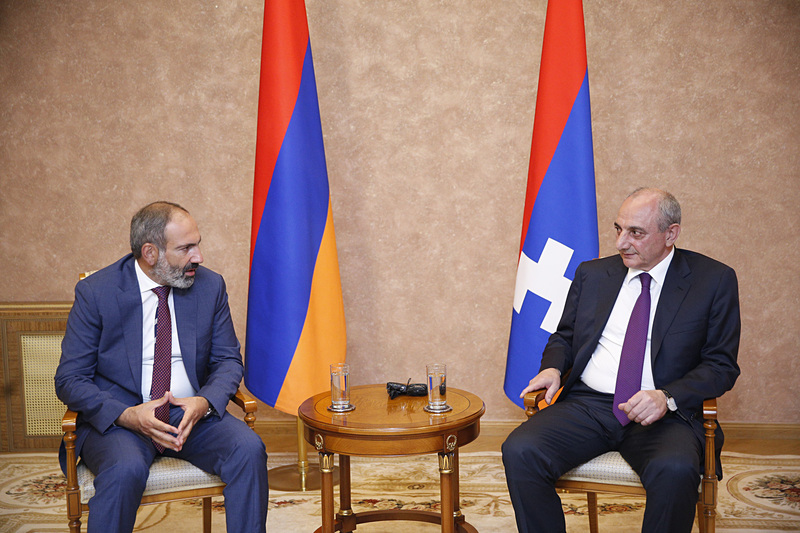 He also directly addressed the the de facto leader of Karabakh, Bako Sahakyan. “I urge Mr. Sahakyan to berate the representatives of his government and make them do their jobs. His spokesperson gives a comment on what I have said on daily basis. Can you imagine if my spokesperson commented on the known and unknown events that occur in Karabakh every day?” Pashinyan said. Armenian foreign policy analyst Hovhannes Nikoghosyan (and one-time spokesman for former president Serzh Sargsyan) complained that Pashinyan and the Karabakh authorities shouldn’t be publicly airing their conflicts. “[T]hese guys, on all sides, had to stop this 'at the water's edge,'" he tweeted. (Indeed, the Azerbaijani press covered the spat eagerly.) “Good that this story ends,” he added after Harutyunyan’s statement.